Wells Fargo Retail Services is committed to helping their merchants and customers combat fraud by offering a new level of security to all American Gem Society members enrolled in our financing program. Intellicheck is a trusted leader in identity authentication and provides patented, time-tested ID verification solutions in Retail, Hospitality, and Financial sectors, as well as Law Enforcement, Defense, Government and Port Security. How can Intellicheck protect my business? 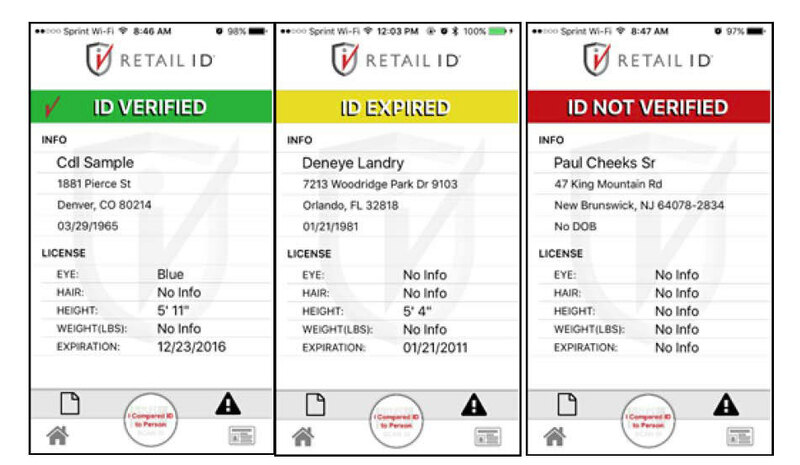 Using a mobile device or by integrating with your point of sale, Intellicheck’s Retail ID product allows you and your staff to scan the 2-D barcode found on the back of nearly any state and federal forms of identification. The quick easy-to-read scan within seconds returns with a green (valid ID), yellow (valid ID, but expired), or red (invalid ID) result that lets you know if you’re looking at a verified form of identification. To better help you and your employees combat fraud, we’ve negotiated a special monthly rate with Intellicheck for all merchants enrolled in our financing program. More good news, there’s no “max” number of scans associated with this service — use the Intellicheck tool on any and all transactions that you deem appropriate — not just private label transactions. Our goal is to help you fight fraud, and that’s not limited just to our program. Either contact your Wells Fargo Retail Services Relationship Representative or reach out to Intellicheck contact: Nicole Fikes, directly using the contact information below. Be sure to mention the Wells Fargo rate on your call.